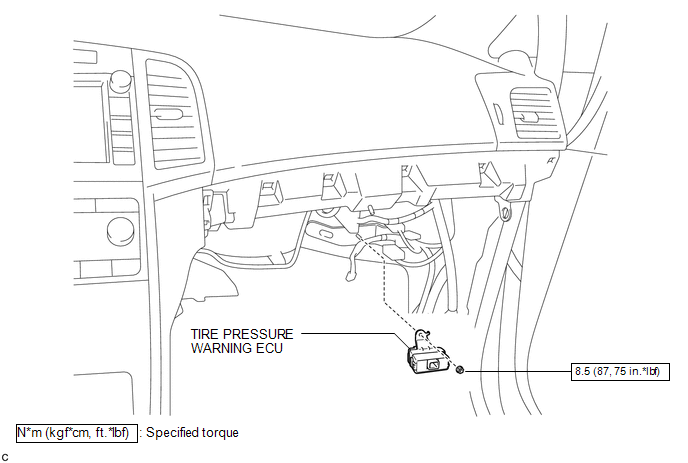 Before removing the tire pressure warning ECU, read the registered transmitter IDs of all wheels and write them down to use for re-registration of transmitter IDs (See page ). 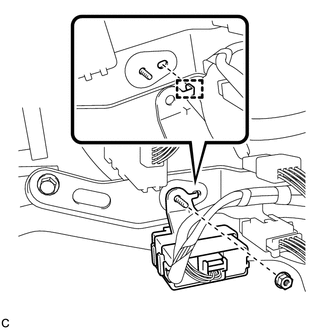 (b) Disconnect the connector to remove the tire pressure warning ECU. 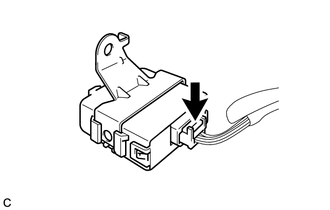 (a) Connect the connector to the tire pressure warning ECU. 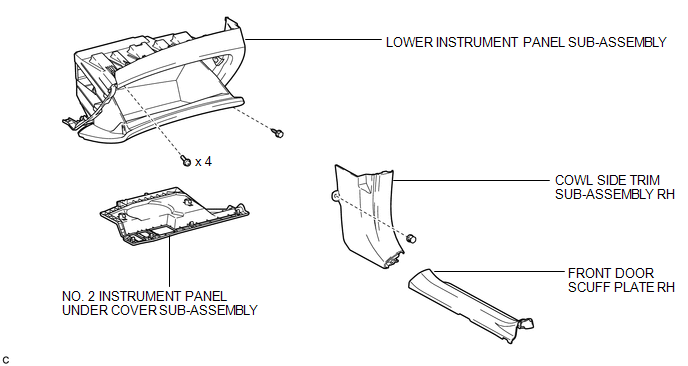 (b) Install the tire pressure warning ECU with the nut. 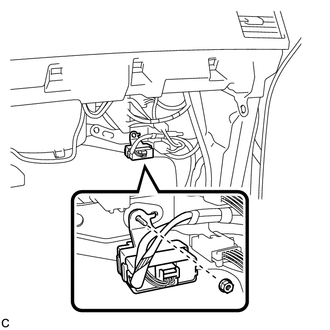 Engage the tab into the hole as shown in the illustration to install the tire pressure warning ECU. It is necessary to register all transmitter IDs (See page ).